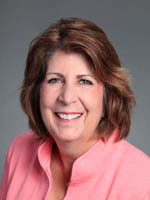 Newman Long Term Care - Long Term Care is a women's issue - Learn how to help protect yourself! Having choices and protecting retirement assets and family savings from long term care costs is important to everyone, but it is especially significant for women. Women live about 5 years longer than men. Women over the age of 65 are twice as likely to be living alone. "This is not about YOU anymore. This is about someone in your family who will end up taking responsibility for your care because you did not prepare. 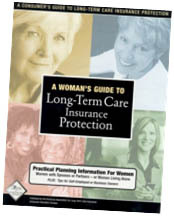 Contact us today for your complimentary copy of 'A Woman's Guide to Long Term Care Insurance Protection" to take charge of your own future care needs." An email verification will be sent once we receive your information. Insurance. My date of birth is: . Let us know if you have an insurance advisor and we will work with them to solve your long term care needs or we can help you directly. Please Note: This guide is meant for consumer use only. If you are an insurance or financial professional, please contact one of our internal wholesalers to request a copy.